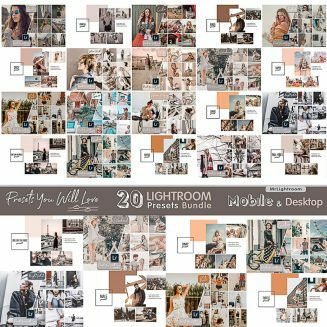 Introducing Bundle Lightroom Desktop and Mobile Presets & Photoshop Filters ACR. 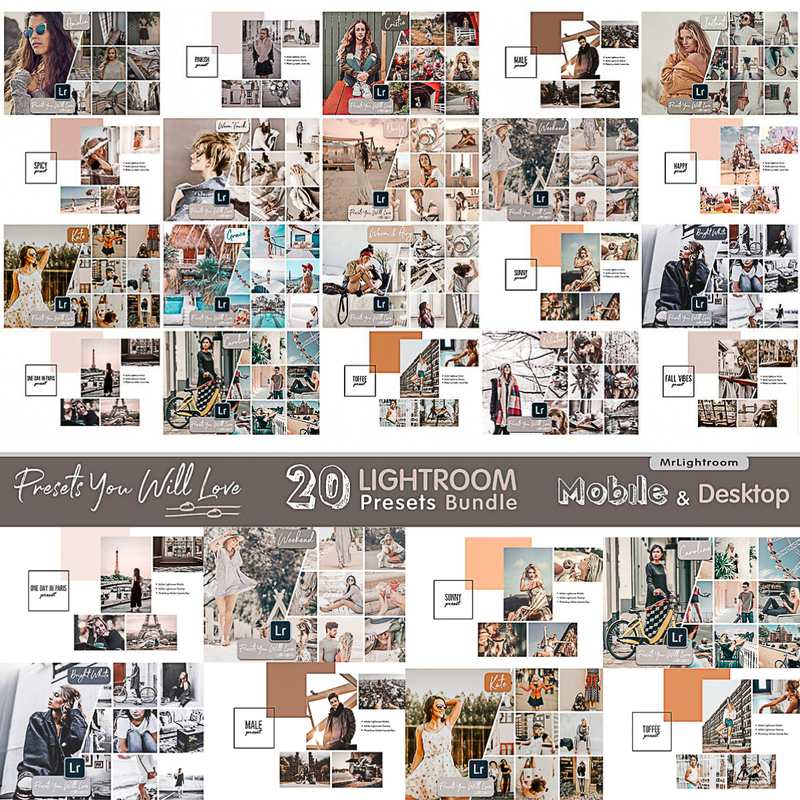 This Bundle includes: 20 Sets of Lightroom Desktop and Mobile Presets & Photoshop Filters ACR (.dng /.xmp/.lrtemplate files). File format: .xmp, .dng, .lrtemplate for Lightroom, Photoshop or other software. Tags: blog, bright, color, dark, deep, desktop, dng, lightroom mobile, lightroom preset, mobile photography, mobile preset, photography, social media, soft, xmp.